Is Granola Bad For You? - Here Is Your Answer. Is Granola Bad For You? Granola can be a healthy breakfast cereal but beware of high amounts of sugar, fat, and calories. Many are under the impression that all granola is good for you, but it’s not as healthy as you think. Some granolas are high in nutrients and contain a decent amount of fiber, which is essential for a healthy morning breakfast. However, the majority are just the opposite. 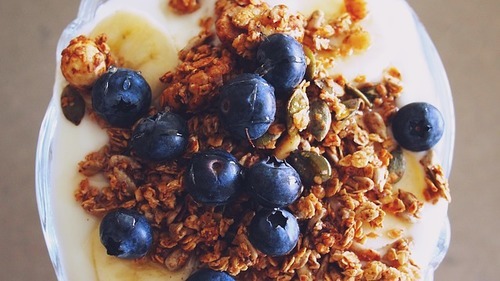 When comparing granola to other cereals, we see that 1 cup of store-bought granola contains around 420 calories, 11 grams of fat and 25 grams of sugar, which is significantly more than the average cereal. The amount of sugar alone makes it an unhealthy choice for breakfast. Many granolas do not contain much dried fruit so the calculated 25 grams of sugar in the cereal is not natural, it’s added sugar. The recommended daily limit of added sugar for women is 24 grams, and 36 grams for men. So having a big sugary bowl of granola for breakfast is actually doing more harm than good. A diet consisting of too much sugar can cause weight gain and side effects leading to heart disease and diabetes. 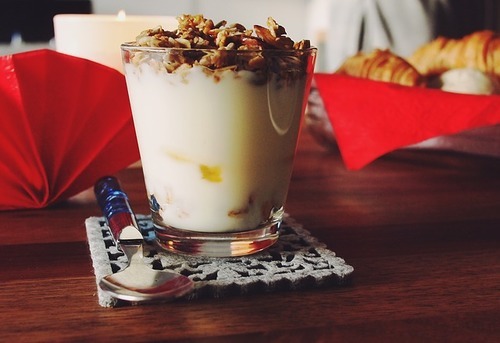 If you’re trying to lose weight, be cautious about adding granola into your meal plan. 420 calories for breakfast may not work well with your diet. Remember, if you want to lose just 1 pound of body fat you have to burn 3,500 calories. Eating a high-calorie breakfast can keep you from your goal. Many granolas also contain saturated fat, which to some is viewed as very unhealthy. Research is still being conducted to determine whether saturated fat causes high cholesterol, heart disease, and stroke… but in the meantime, some would rather just avoid it. We do have to keep in mind, though, that not all calories are the same. If the granola has a lot of dried fruit, seeds and nuts, this adds more calories, natural sugar, and healthy fats, but these ingredients are nutritious and contain multiple vitamins and minerals. So don’t just look for the granola lowest in calories or one that’s sugar-free. 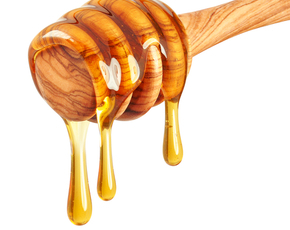 It’s better to buy a granola that’s only sweetened with natural sugars from dried fruit, organic honey or maple syrup. Also, look for high-fiber granola to help fill you up in the morning and get your intestines working smoothly. Granola can contain around 10 grams of fiber which is good considering woman need 25 grams per day and men need 38 grams. 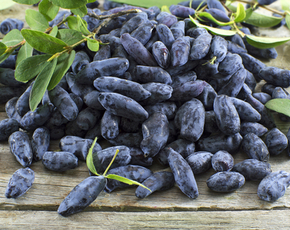 Fiber is essential for a healthy diet and it helps keep you full helping you to lose weight. Granola is great because it’s made from oats (the only downside is the added sugar and oils). 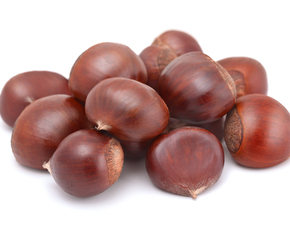 But, it still contains nutrients like iron and zinc that will help to maintain a healthy immune system. 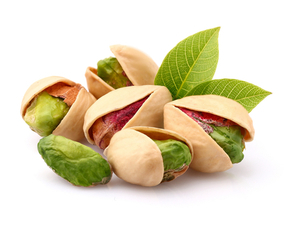 Folate, also in granola, aids in metabolizing your food and helps prevent birth defects.